All Stevinson homes currently listed for sale in Stevinson as of 04/19/2019 are shown below. You can change the search criteria at any time by pressing the 'Change Search' button below. 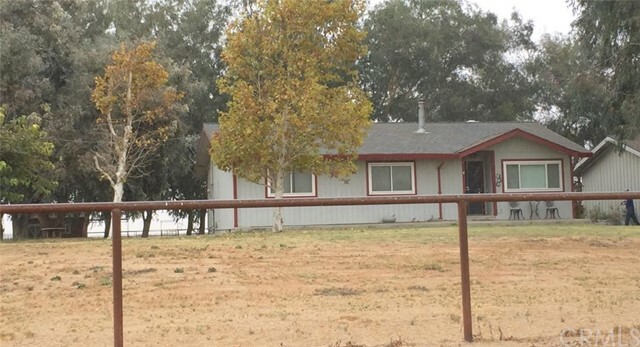 "Here is your Opportunity to own this Gorgeous Country style home on a 9.59 Acre with an established horse ranch with stunning views, The property great aspects include a 4 stall barn, 7 paddocks w/shelters, a Mare Hotel for boarding horses a great source of income, a round pen for horse training, foaling stall, a large riding area, 7 pasture shelters, the property is completely fenced with horse safe fencing, The single-family residence features 3 bedrooms, 2 baths, 2,706 sqft, laminate & carpet flooring, open kitchen with stainless steel appliances, food pantry, a breakfast bar, a Family & Living room with a fireplace & wood burning stove, 2 skylights, Indoor Laundry room, front & backyard, 100+ mature trees, workshop, water rights, and much more amenities!! Come and see why this home is what living in a Ranch is all about!"